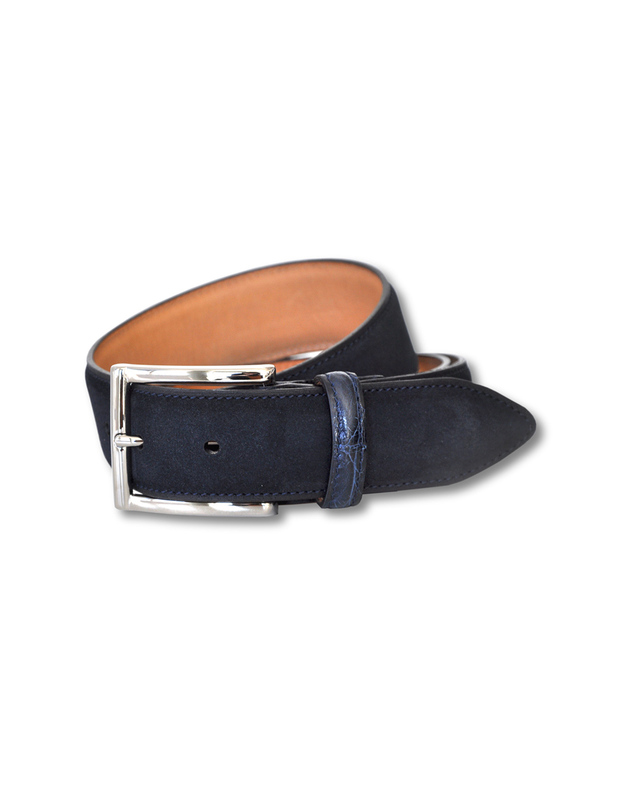 Perfect summer belt. 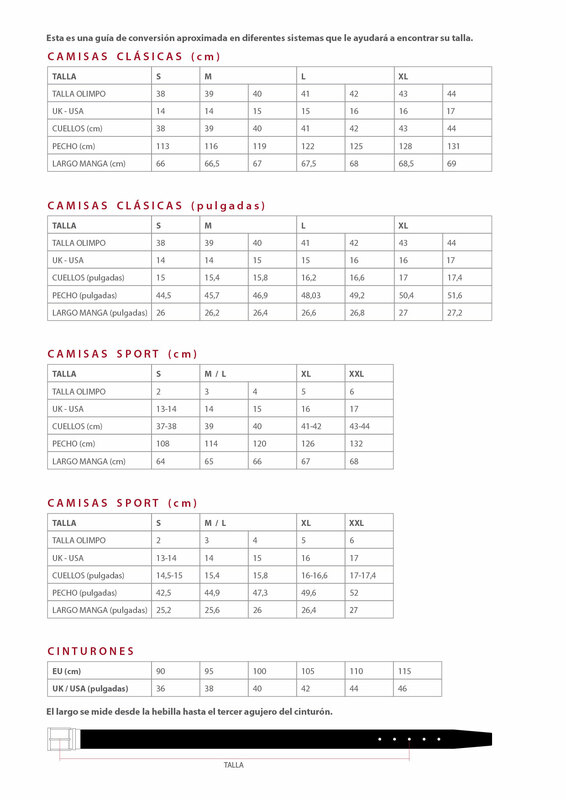 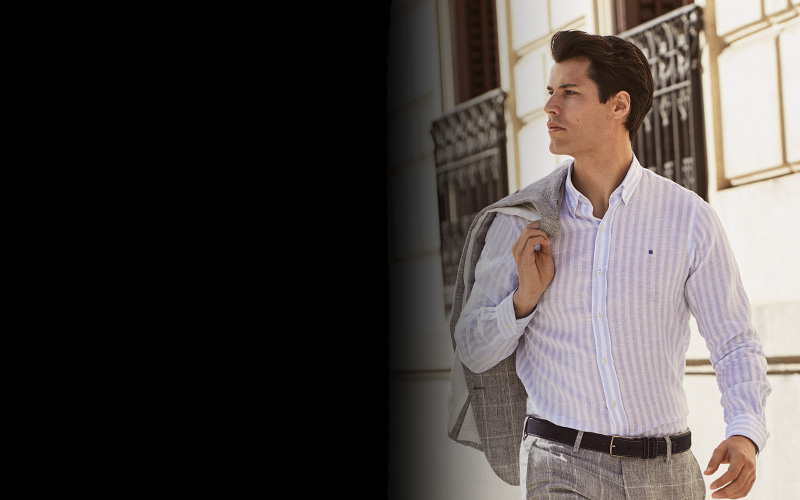 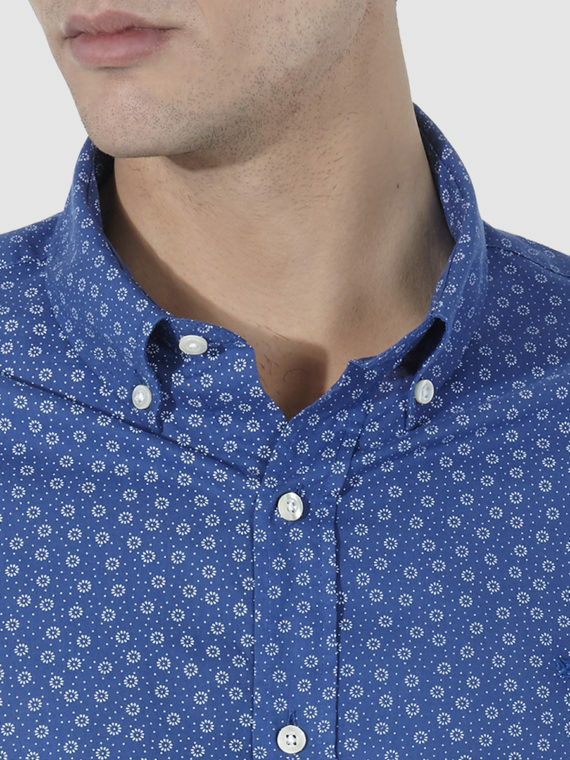 Combine with casual blue and white OLIMPO shirts. 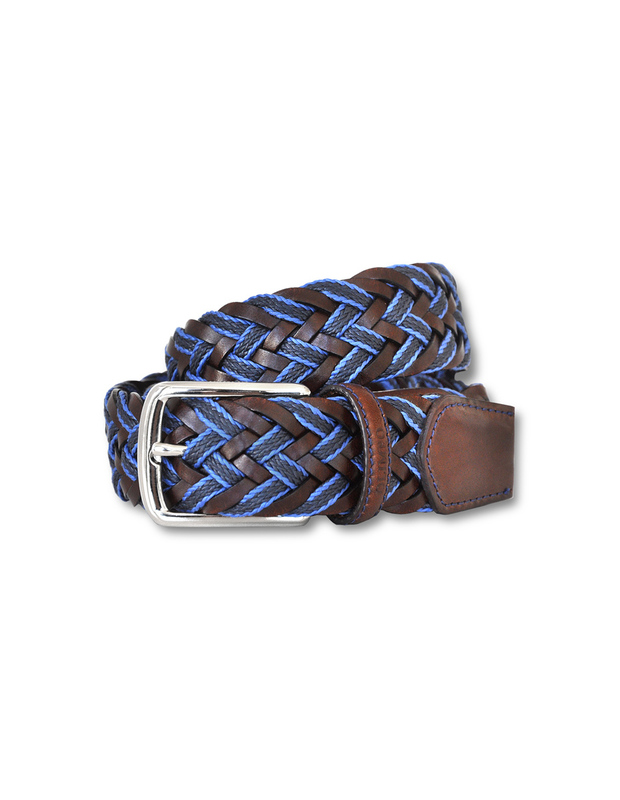 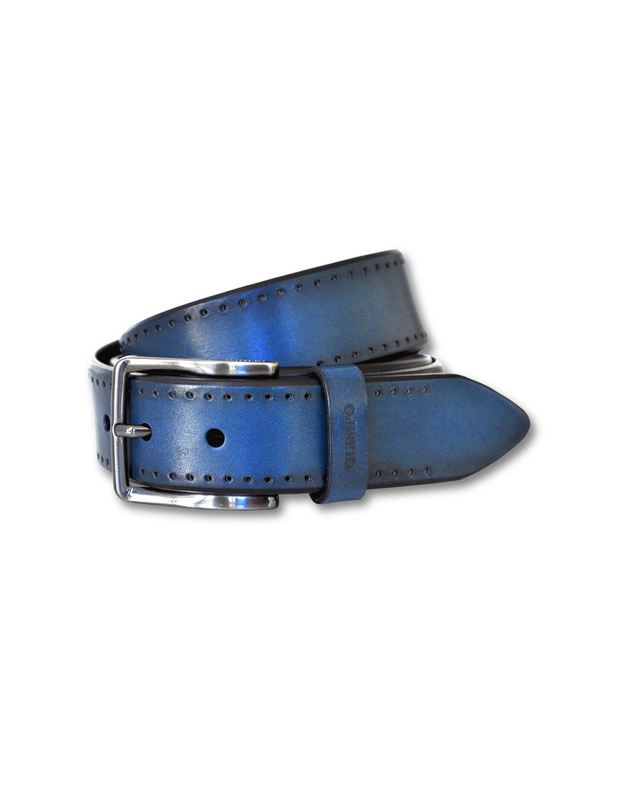 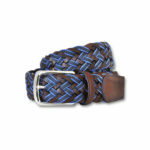 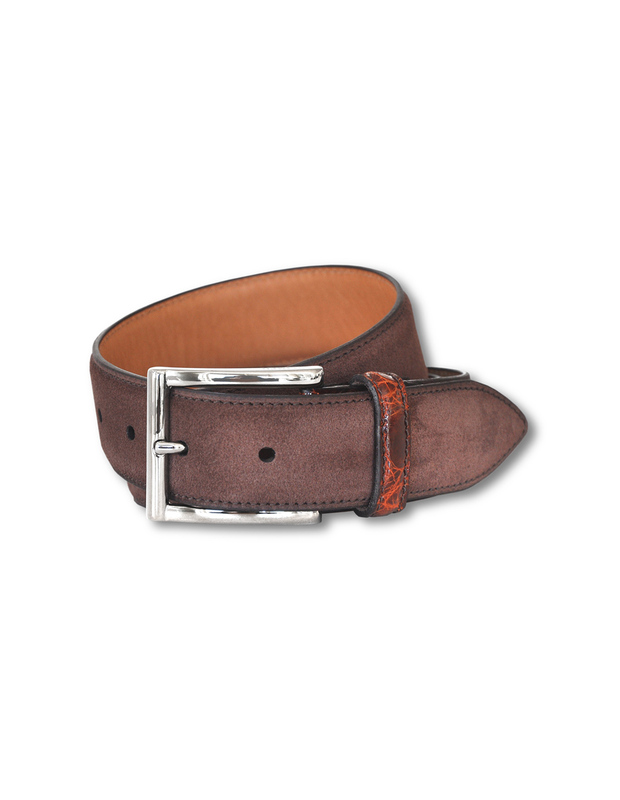 Braided belt made of brown leather and cotton in blue tones. 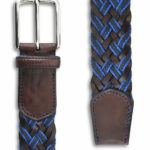 Practical design allows you to fasten on the braid itself. 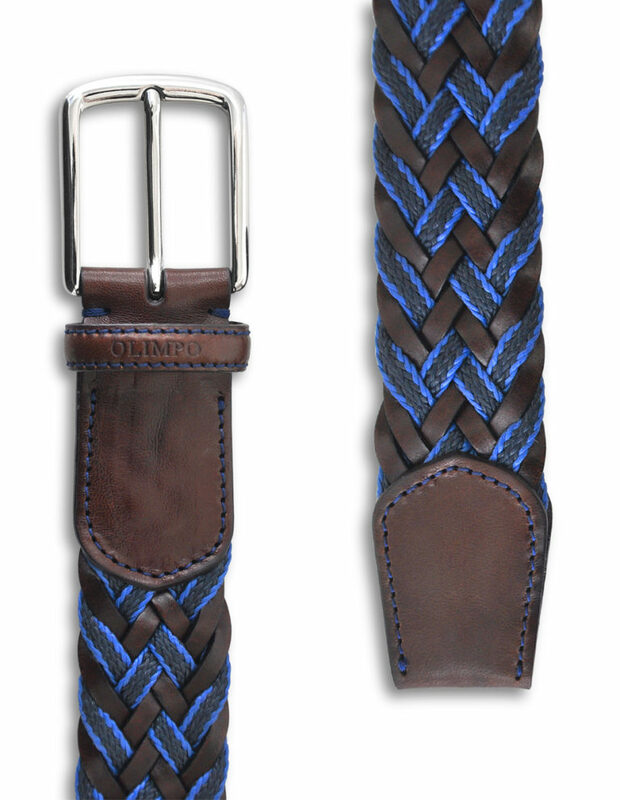 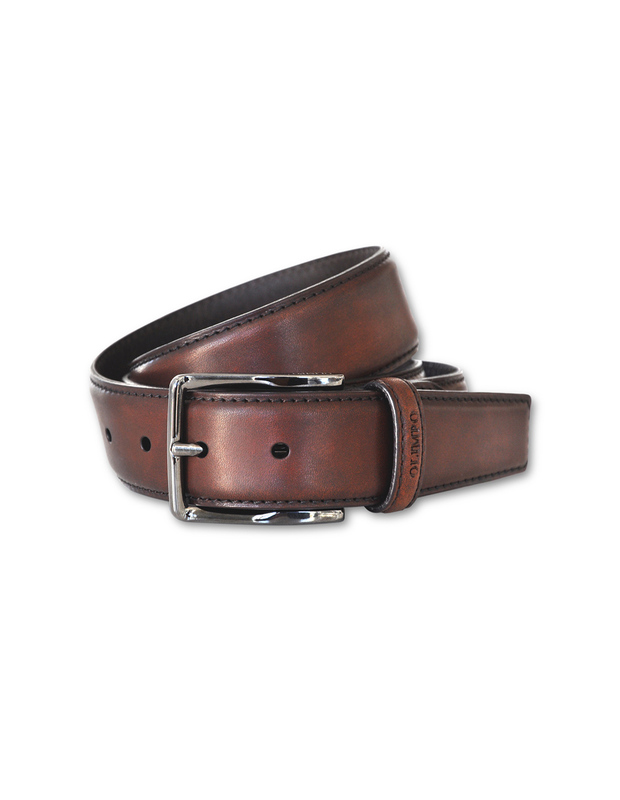 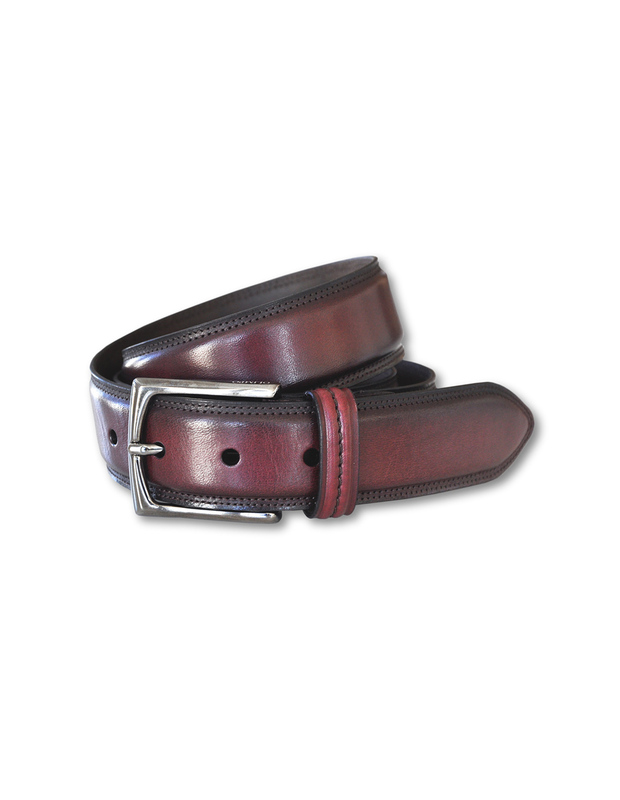 The belt loop is heat stamped with the OLIMPO logo, sign of quality.